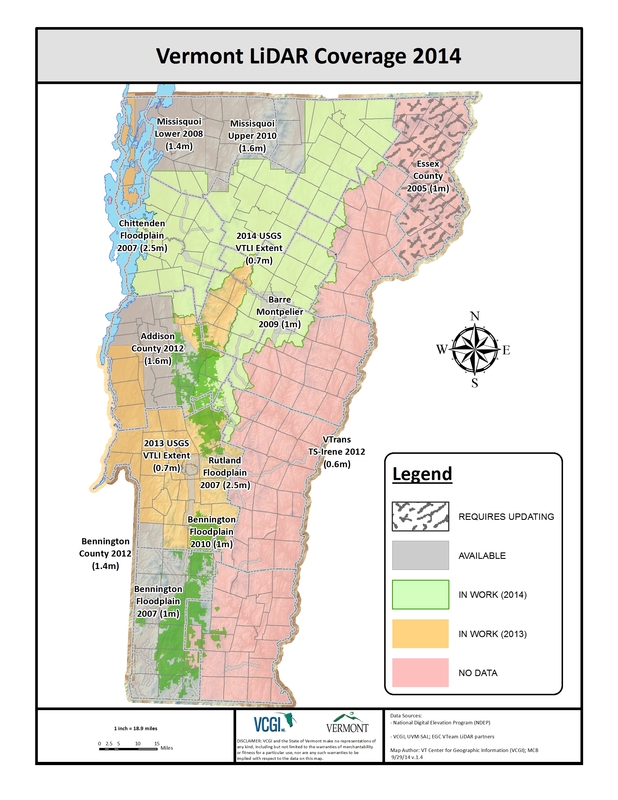 In addition to completing the Rutland County collection (orange in map above), the entire Winooski River Watershed plus some additional area will be collected in 2014 or 2015. The project will cover more than 2400 square miles (light green in map above), complete Lake Champlain Basin coverage on the Vermont side and include a new coverage for Chittenden County. Total project funding was $880,000 and a total of six cooperators contributed to the project. A pilot area Web Map Service of LiDAR data will be available soon! You are currently browsing the VCGI's Blog blog archives for October, 2014.